NEWS. Could be anywhere from six weeks to six months... ouch. RAW is lacking in Black talent right now: Cryme Tyme is auctioning off wrestling boots(?!? ), King Booker is getting into matches with Jerry Lawler, and... wow, where the rest of my people? Smackdown has Mark Henry, "The Silverback", but he's not believeable (he needs more people), MVP (a guy I can't get excited for) and... wow. 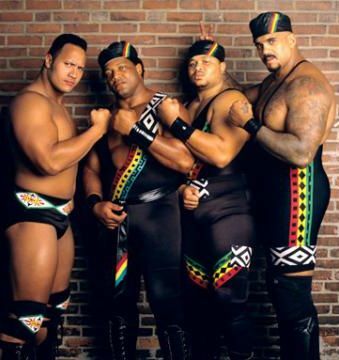 There might be more brothas in the WWE, but really, who's watching?